Our favorite way to start the day! 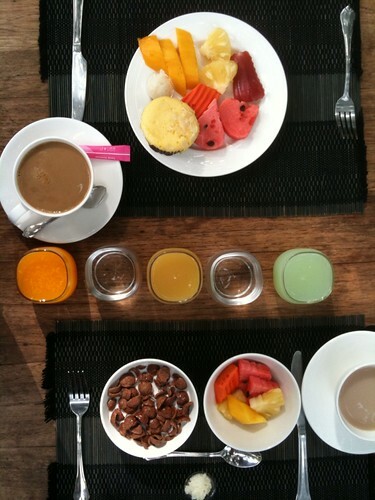 Our favorite way to start the day!, originally uploaded by Hillary Hewins. steamed Asian veggies. The YUM. 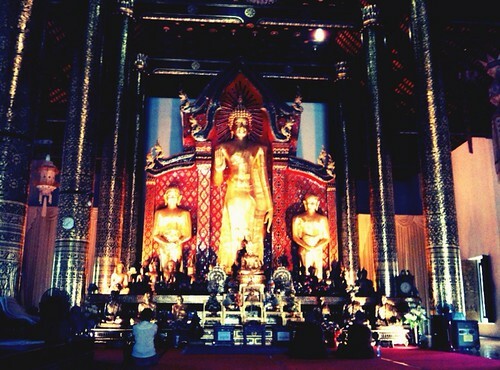 Wat Chedi Luang, originally uploaded by Hillary Hewins. 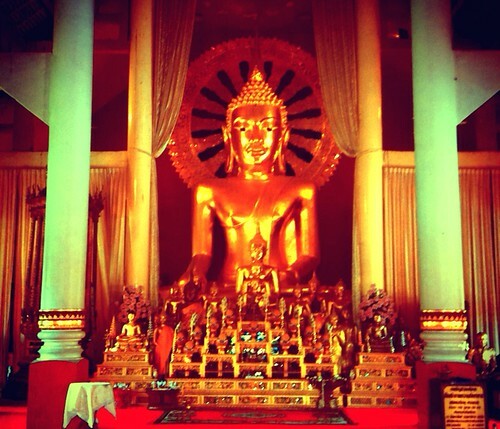 Inside a temple at Wat Phra Singh, originally uploaded by Hillary Hewins. 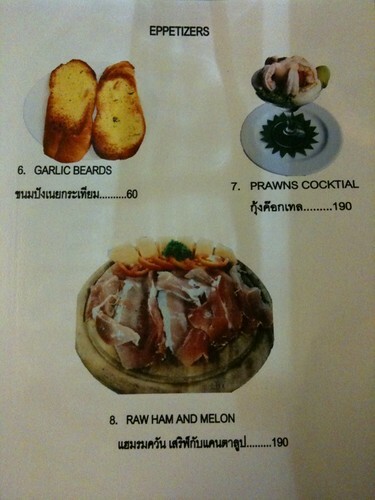 Phuket Salad, originally uploaded by Hillary Hewins. 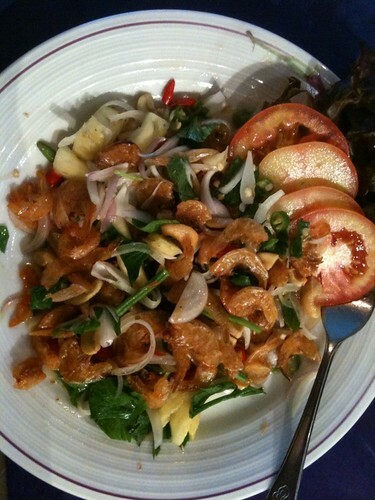 This was a delicious smoked shrimp salad with pineapple, onion, lime, greens, cashews, and about 100 chilis. We learned a new phrase after this: “prik nung met” meaning “prepared with one chili.” One chili is still pretty hot! The rest of our trip begins, originally uploaded by Hillary Hewins. 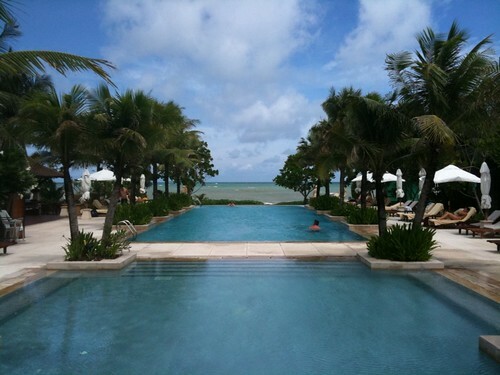 We had an amazing time at Layana and now we are starting the “unplanned” part of our journey. We have a rough outline of a plan- Chiang Mai, Luang Prabang, Halong Bay, Hoi An, Siam Reap, and hopefully some places in between. We spent yesterday traveling from Ko Lanta to Chiang Mai. 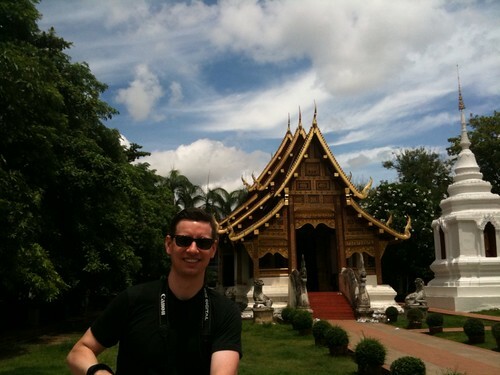 First there was a four hour drive to Phuket and a 1.5 hour flight from Phuket to Chiang Mai. 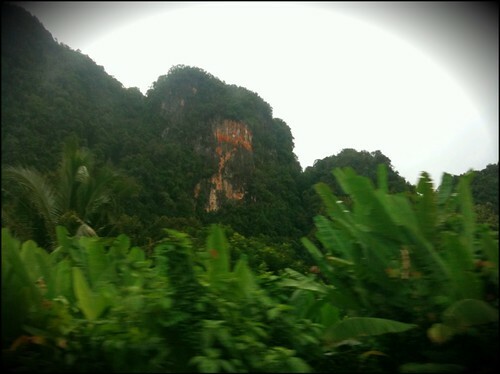 The scenery along the drive was stunning- dense jungle forest and karst mountain peak formations. We are excited to see Thailand from outside of our resort and eat some local food. Our hotel in Chiang Mai is right by the Night Market, which we will definitely go to tonight after we explore the city and see some wats (Buddhist temples). Lounging Poolside, originally uploaded by Hillary Hewins. night at Layana. Tomorrow we are off to Chiang Mai. 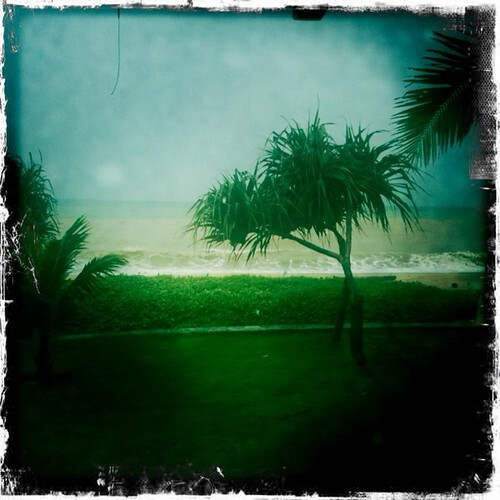 Monsoon weather, originally uploaded by Dan Hewins. and getting treatments at the spa. Yesterday we both got 90 minute massages and today Dan is getting an “Indian Head Massage.” We don’t even mind that it is monsoon season because our resort is so wonderful and rainy weather is giving us an excuse to relax. A great start to the honeymoon! Remember those lovely and delicious cakes? 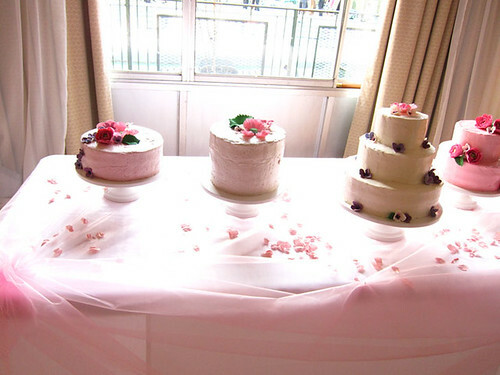 They were made by bridesmaid extraordinaire, Melissa, otherwise known as Cake Hero. She makes the most amazing cakes on the face of the planet, which is why she was a natural top choice for us! Besides, she’s cute and nice too. Check out the Cake Hero website here for more awesome, amazing cakes!